The already highly successful event organiser had watched the face of marketing and competition in the sector change over the years. The battle for new businesses was now online, in search, and the website needed to be the company’s best salesperson. 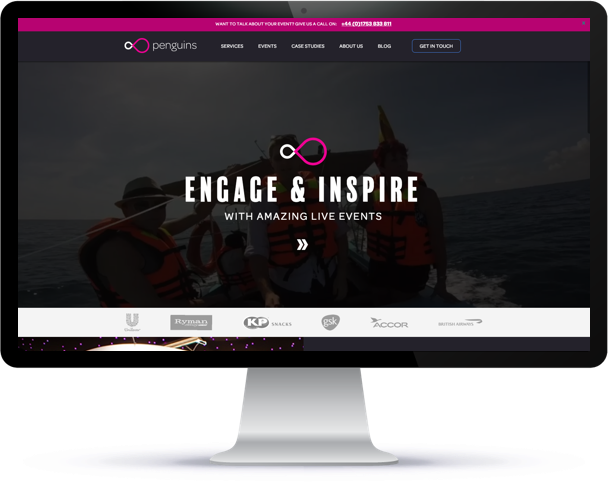 Penguins needed a new, inbound-ready website to form the hub of their marketing and maximise the results of their efforts. The strategic approach Blend has taken with our website has had a direct impact on our success. 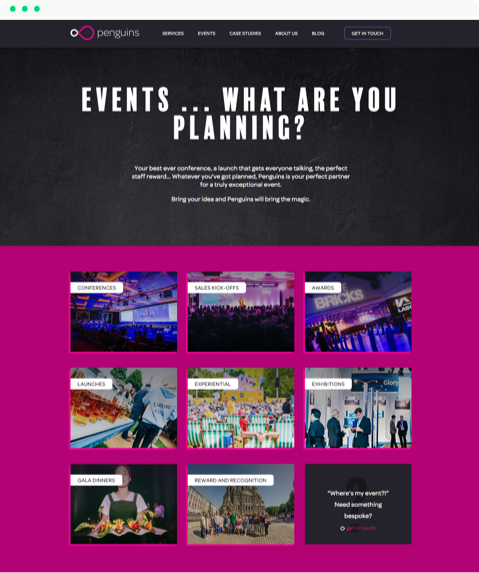 Working together with the Penguins team, Blend developed a strategy that ensured the new website would meet the needs of visitors while being highly search engine and conversion optimised. We then wrote, designed and developed the new site, entirely on the HubSpot CMS. 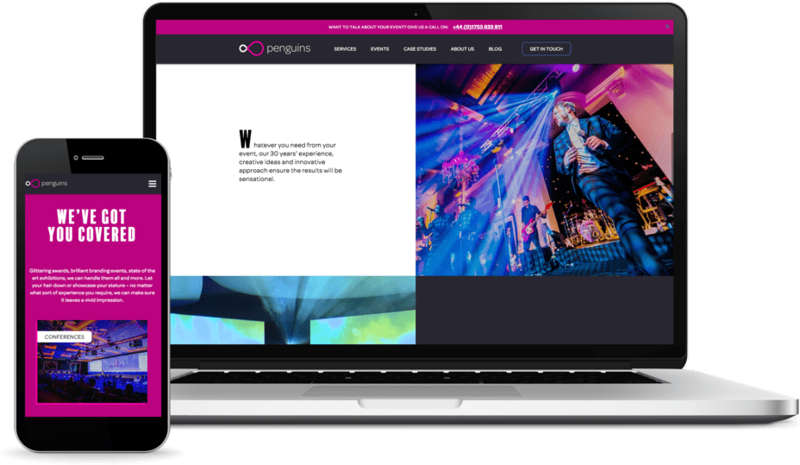 Our content team crafted every page to ensure that they answered visitors’ questions quickly and concisely, while building trust with the reader and anticipation for the type of results that Penguins can achieve. The message that Penguins can be trusted whenever you need to engage and inspire an audience is reinforced throughout the site. The effects of the new website on online lead generation were instant and impressive. Even while search engine rankings and organic traffic went through the adjustments that are normal when launching a new website, the conversion rate from visitors to leads went through the roof. 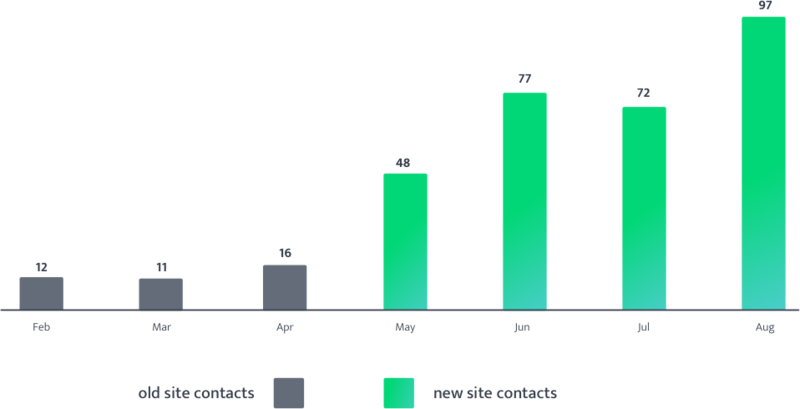 Within three months, the website conversion rate had risen by more than 500% from a previous high of 0.42% to a whopping 2.42%. The conversion rate of organic traffic is even higher at 3.22%. But most impressive of all is the impact on valuable opportunities, up by over 800% when compared year-on-year.